An event-related analysis of awakening reactions due to nocturnal church bell noise. It appears that the night noise situation in church bell tower vicinity is, for all intents and purposes, surely a potential object for noise regulation. The findings of this study indicate that church bell ringing events increase the probability of additional awakening reactions that would not take place if the ringings were suspended during nighttime. The most important predictor for awakening appears to be the maximum sound pressure level of a ringing event, thus, reducing the acoustic level of bells would be an efficient means to reduce awakenings while retaining the ringing tradition for the many that cling to it. 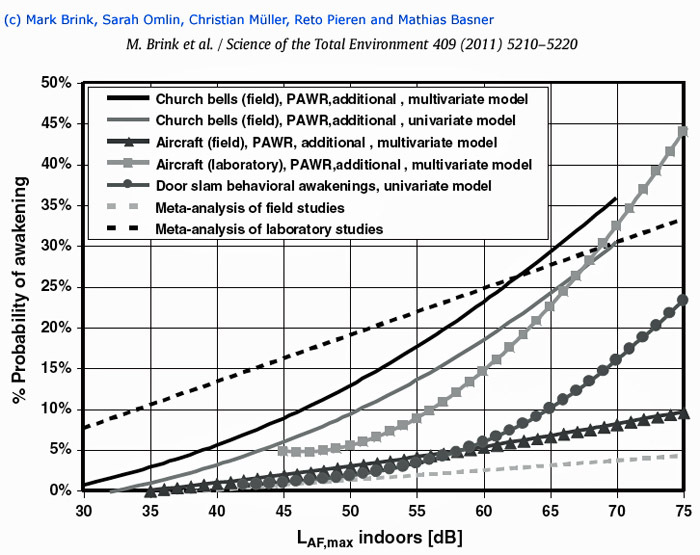 The maximum sound pressure level-awakening probability relationship shows a quite pronounced effect of church bells and is well comparable with similar functions from transportation noise studies that were carried out in the last years. Brink M, Omlin S, Müller C, Pieren R, Basner M.
Sci Total Environ. 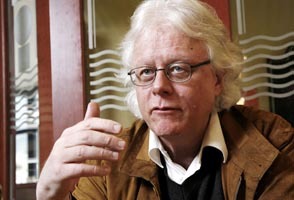 2011 Nov 15;409(24):5210-20.